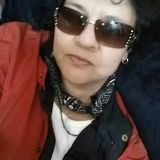 Want to connect with Zenaida? Hey my name is Zenaida. I am looking for a home caregiver work opportunity in Altadena, California. My goal is to utilize my abilities as a home caregiver. I can alter my schedule to meet your needs.. I have experience with personal care, assessments, and changing clothing. I have a drivers license. With respect to previous training, I have over a year of experience.